Kevin and Sean cap off Episode 91 with Part 2 today. 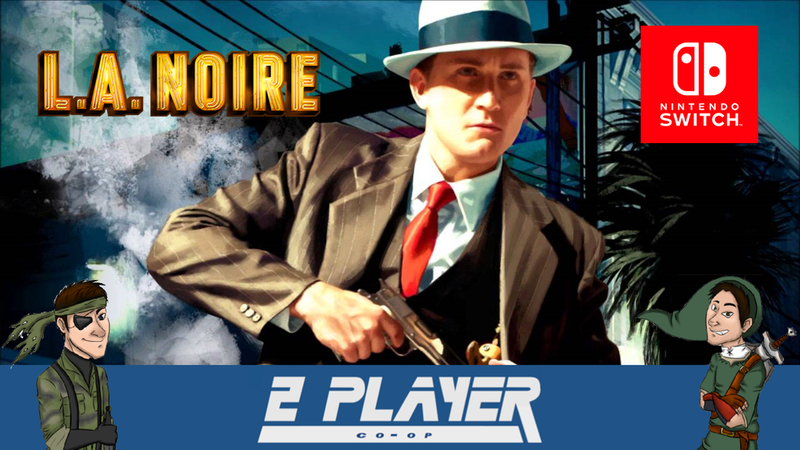 The guys jump into the surprising news of Rockstar announcing a re-release of LA Noire is coming to the Switch in addition to the PS4 and XBox. What does this mean for future third party support on the Switch? Plus, news of the week and everyone's favorite game.....BACK OF THE BOX CHALLENGE!!! Enjoy! While you're enjoying this week's episode make sure you hit that subscribe button. That way you can always be made aware when a new episode releases. You can check out older episodes on their YouTube page. You can find it here. Finally, head over to Twitter to give the guys a follow. You can hit them up at @2Player_CoOP.